His entire April and May run of The Million Dollar Piano shows at the Colosseum at Caesars Palace in Sin City has been cancelled, together with a planned 6 May gig in Bakersfield, California. A spokesman for the ailing rocker tells Variety Elton became "violently ill" after contracting a rare "potentially deadly" bacterial infection during his recent South American tour, and he was admitted to a hospital upon his return from Santiago, Chile last week, where he spent two days in intensive care. He was released from the hospital on Saturday and is now "comfortably resting at home per doctor's advice", according to the representative, who insists he is expected to make a full recovery. 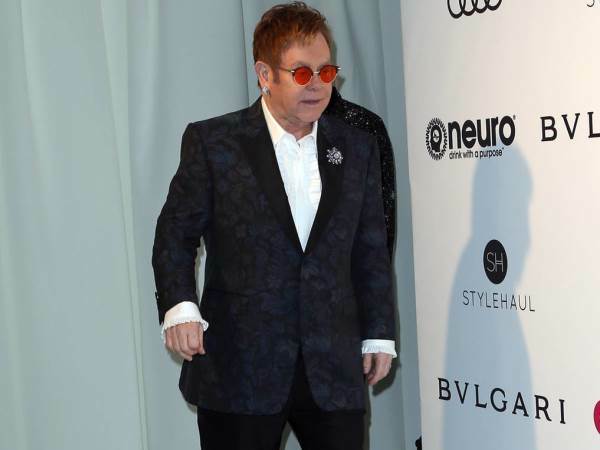 "I am so fortunate to have the most incredible and loyal fans and apologise for disappointing them," a statement released by Elton on Monday reads. "I am extremely grateful to the medical team for their excellence in looking after me so well." Elton's previously scheduled Las Vegas shows on 28 & 29 April, 1, 4 & 5 May have all been scrapped. He will return to the stage in England on 3 June, after taking a month off. His release from the hospital came on the 10th Record Store Day when he was feted as the annual event's first ever Legend.